Hello i just started to use Ionic and i have some questions. First of all i downloaded an existing ionic project on GitHub to start. I do these commands and works fine. The project starts at localhost:8100 as wanted. I understand that the files are on a cloud and the database too, right? When i download the files how can i use them so i may do some changes? I Mean i type in commands on NODE.JS command prompt? The tutorial says that uses PHP-Restful-Api https://github.com/srinivastamada/PHP-Slim-Restful to connect to the database on XAMPP? 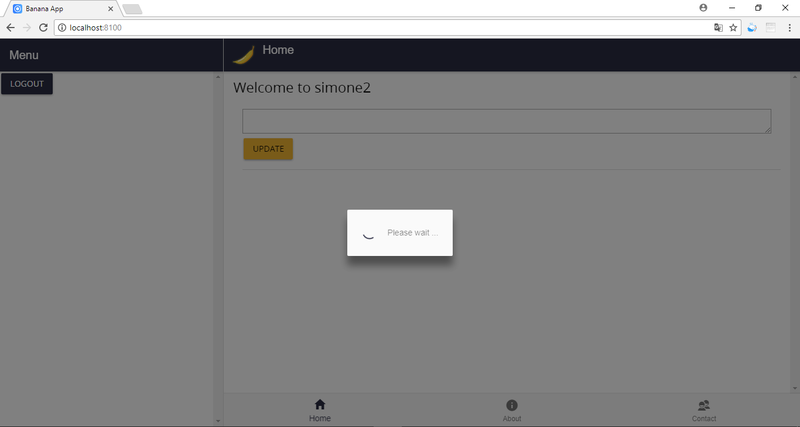 How do i connect the PHP-Slim-Restful to the Ionic Project? After i download the files on Github i put them on the htdocs folder on XAMPP and type localhost/ionic-restful-authentication/ to sow the output? Do i need some command on node.js command prompt? 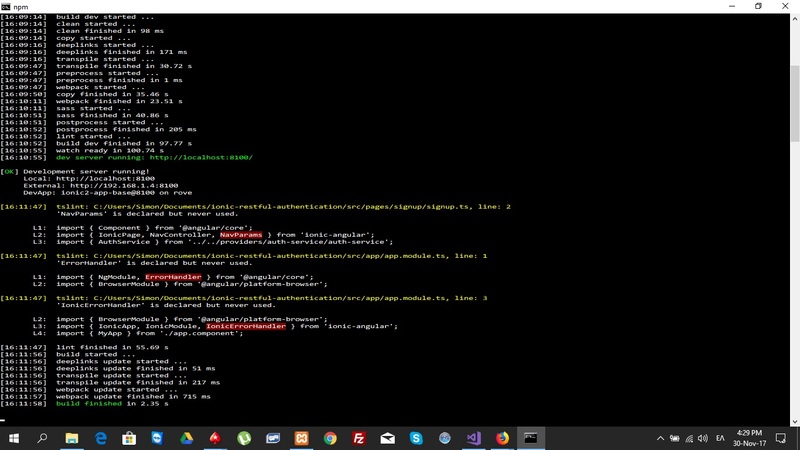 i mean i want to editthe files and watch my changes on localhost, how do i connect with PHP-Restful-Api? The part in which he writes about how to "Create an Authentication Service Provider" explains how to connect to the api. Thanks Cereal i did and solved a lot. But i have two problems. I deleted the records on the database and still when i open the app it is logged in as a registered user. Is it a cookies thing? I am getting an infinite Please Wait when i make a new register as shown on the image i show you. Angular is running in the development mode. Call enableProdMode() to enable the production mode. localhost/:15 The key "viewport-fit" is not recognized and ignored. core.js:3565 Angular is running in the development mode. Call enableProdMode() to enable the production mode. I'm sorry but cannot help here, I don't have experience with Angular & co.
You can't parse an array with Json.parse? How to split data to text boxes when read qr code data ?